UK Signs Safe Schools Declaration! 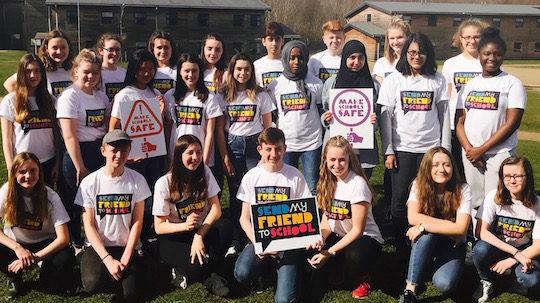 Thousands of young people across the country have joined together with Send My Friend to School to take action as part of the #MakeSchoolsSafe campaign. Today their voices were heard at the centre of Government as it was revealed that the UK will sign on to the Safe Schools Declaration. The announcement was made by Foreign Secretary, Boris Johnson, as part of the 25th Commonwealth Heads of Government meeting hosted in the UK this week. The signing of the declaration is a huge positive step forward in the drive to #MakeSchoolsSafe. Our campaign highlighted that every school day an average of 15 life-threatening attacks on education take place – putting the lives of millions of children at risk and obstructing their right to education. 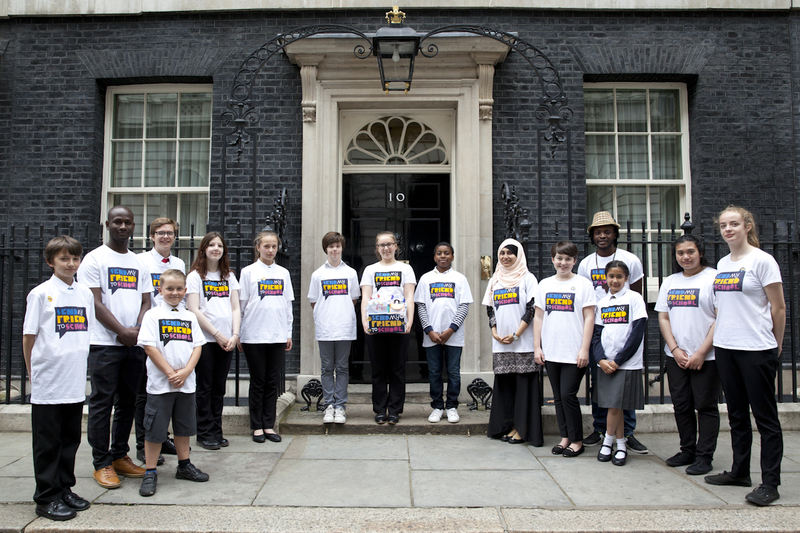 This commitment comes after hundreds of UK schools joined the Send My Friend campaign, the message was amplified through social media action, MPs debated the campaign in parliament, Campaign Champions released a joint statement and much much more! A massive thank you to everyone involved. The Safe Schools Declaration is a international political commitment made by countries to do more to protect schools during armed conflict. By signing, the UK will be the 74th country to endorse the declaration and we hope that our Government will encourage as many other states to sign as possible. The journey to #MakeSchoolsSafe doesn’t end here and the Send My Friend campaign continues. Schools across the country are creating paper safety signs for the Prime Minister to ensure the UK implements the Safe Schools Declaration, encourages other countries to sign up, and puts into practice other vital school safety measures throughout its aid programmes across the world.